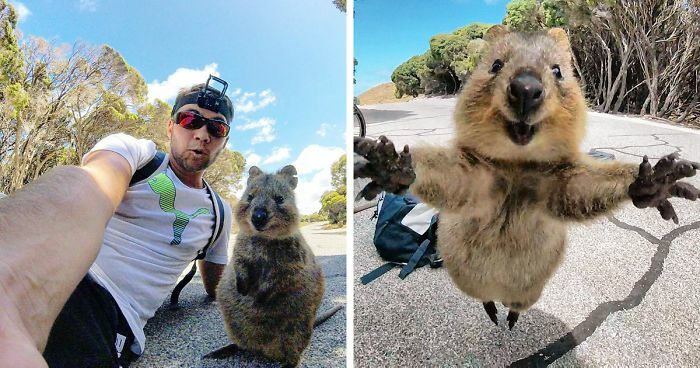 When asked on his Instagram page what Jones thinks made the animal come up to him, the man wrote: “My good looks I think.” Quokka saw the man, and it was love at first sight! 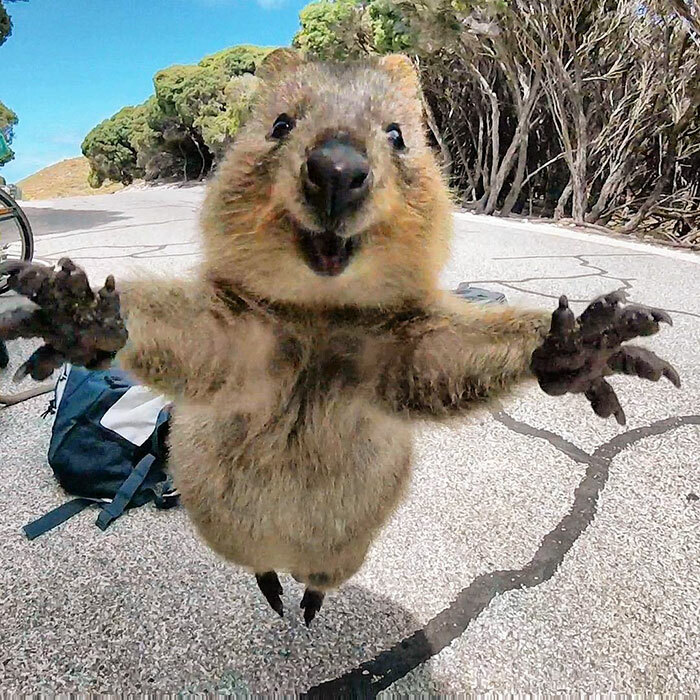 Quokka is a marsupial found in Australia. 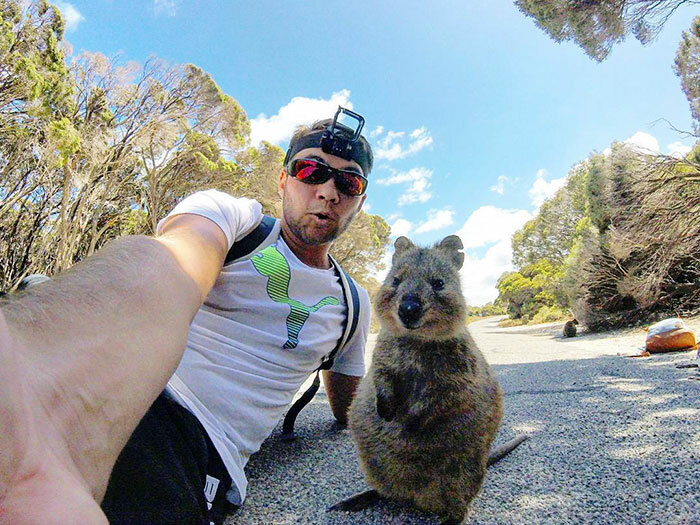 They are known for their inquisitive nature – quokkas have only few natural predators, which allows them to be less fearful around other creatures, and, as it turns out, even approach humans for a selfie or a hug. Still, the species is listed as ‘vulnerable’. We hope that photos like Jones’s will inspire more quokka protection efforts. 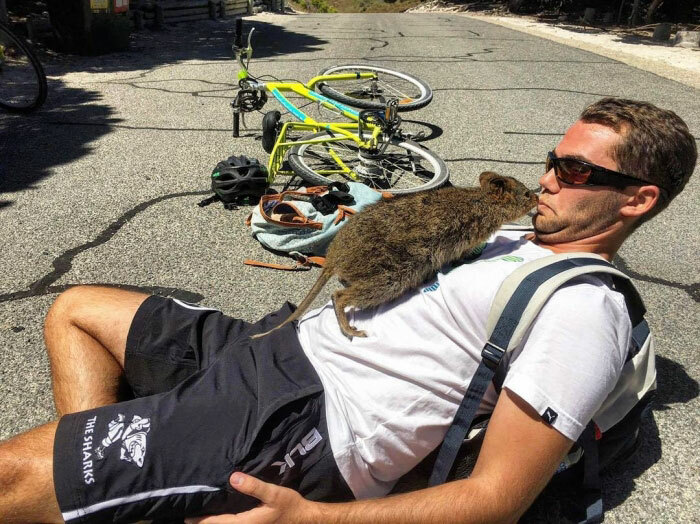 Quokka saw the man, and it was love at first sight! 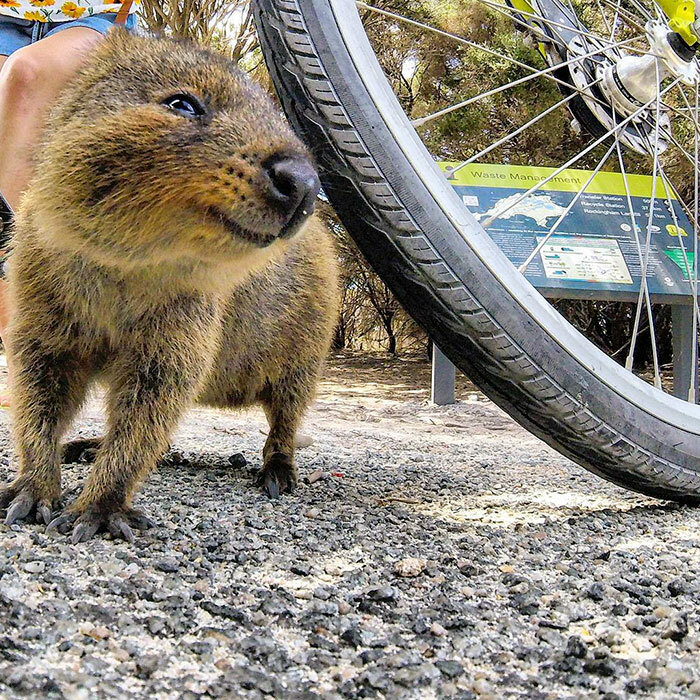 I have actually never even heard of a Quokka. But I have to say she's pretty cute. only found on Rottnest Island.. off the coast of Perth... great spot for a day trip !! (if you in Perth that is) !